I am a big believer in the power of intention. Of course, believing in the power of intention does not, for me, cross out my faith in the power of action and my trust in taking action. Intention is the non-tangible seed and action is that aspect of all successes that is visible and measurable. Thus, without the right intention, your actions can be insipid and your outcomes can amount to zilch. Nada. Nothing! 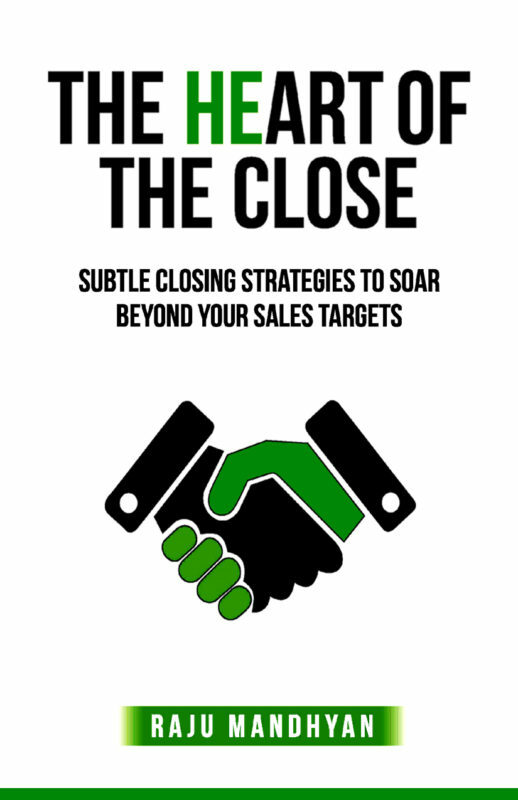 In sales and selling when approaching new clients, analyzing their needs and presenting them with options or, even, solutions your true and authentic intentions will have a direct correlation to all outcomes and to the closing of the sale. Thus, if you walk in and up to the client with a winning attitude and with a true intention to win the business and a much truer intention to serve your customer’s needs then by all means and through all actions you WILL walk out with the business and with a win-win deal. This, assuming, that your product, pricing and service fit the needs. What do you have in mind? That’s intention. What do you want as an outcome? That’s intention. What are you trying to bring about? That’s intention. What do you really and truly want? Why? What does your organization really want? How does what you and your company want benefit the client and also create value? What exactly does the client company want? Does what you and your organization provide serve the needs of the client and will filling the need create a win-win outcome for all? The reason most sales initiatives fail and salespeople suffer excruciating stress in selling is because we miss the point and are usually out of focus from the real issue and the need. We focus on quotas, numbers and profits etc., these are all superficial tangibles. It is the service, the fulfilling of the need and the creation of value that are crucial. That is powerful in sales and in life. In all my sales workshops, titled HeART2HeART, I focus on five powerful principles for success in all interactions namely; Intention, Awareness, Inquiry, Flexibility and Action. Intention, of all, takes the lead. Wanna' become a Good Storyteller?